Marcella is a 2018 graduate of University of Calgary. She grew up in Spruce Grove and has family roots in the Westlock area. Marcella currently has a wide range of interests including ultrasonography, small ruminant medicine, wildlife medicine, beef herd health and small animal medicine. 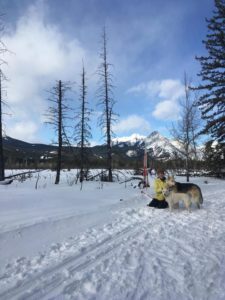 She has two rescue dogs, Popcorn and Grady, and loves to spend time outdoors camping, hiking, cross country skiing, snowboarding, and running.